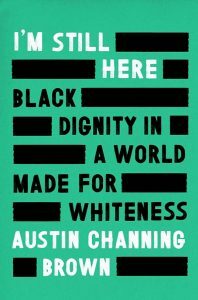 Whenever I hear Austin Channing Brown interviewed about her book I’m Still Here: Black Dignity in a World Made for Whiteness, one of the first questions she is asked refers to the opening line of her book: “White people can be exhausting.” It’s more than just a provocative first line—it sets the tone of the book. It’s a signal to readers that Brown is not going to dance around the truth in this space. It’s also a signal to all of us who know the deep truth of that sentence. Brown’s book came to me when I was in a season of exhaustion and desperation. I had been wrestling with my own voice and identity in the conversation of whiteness and the minority experience. I had been labeled “divisive, negative, toxic,” just as Brown has. And I realized that I had developed a habit of giving in and shying away from debate because I can “pass” as white—and I was horrified. I needed some sort of revitalization in this journey toward reconciliation. I came to I’m Still Here with a hope that I would find some inspiration or a way forward. When I read that first sentence, I breathed a deep sigh of relief. The pages that follow are a deep dive into the reality of being a black woman. Brown challenges white fragility and reframes what reconciliation could look like in our churches and workplaces. She’s vulnerable in sharing her experience with whiteness and how it has affected her. She recalls her own version of “the talk” that many minorities have experienced—the lessons handed down by parents to their children on how to interact with the white world around them. She shares the ups and downs of trying to find her space within both the black and white communities she has been part of throughout her life. a shadow of it remains. Brown also writes about the ups and downs of being one of the only black women in organizations that say they strive to be a safe place but in practice do more harm than they know. She shares her experiences of encountering white privilege and how she learned to respond in those spaces of her life and career. And yet Brown finds a way to find “a shadow of hope.” She reflects on the weariness of working toward reconciliation. 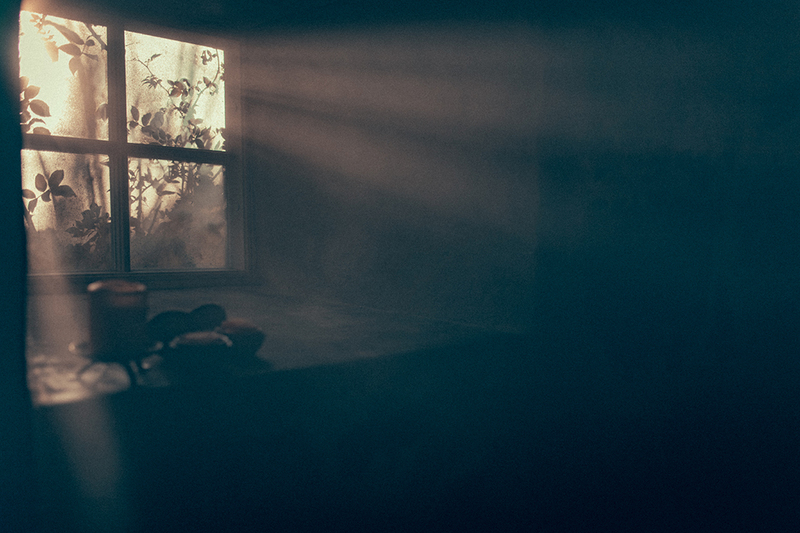 But even when it feels like hope has died, a shadow of it remains. It’s “knowing that we may never see the realization of our dreams, and yet still showing up.” This is the call for those of us who want to see a change, a way forward out of our racist history. It’s a call to continue to show up, even when it feels like a constant uphill climb. As I read this book, I realized that what Brown was showing me how to do was steward my story well. The experiences she shared, the stories she told are incredibly vulnerable. All these instances of being marginalized, talked down to, and treated as if her voice didn’t matter shaped her into the woman she is today. Her story is one of grit and resilience. She does not owe us an explanation of what it’s like to be her, but she chooses to share her story in order to call attention to how whiteness has stripped dignity from people of color. Through her story, through her challenge to find a new sense of hope in a time that too often feels hopeless, I realize that my own story is no accident. I see God’s handiwork on creating me in this body, with these experiences because of this body. How I choose to steward my story from the biracial female perspective is vital. If Austin Channing Brown is standing up to say that she’s still here, I’m standing alongside her, demanding that we call attention to the things many are afraid to see in our communities. 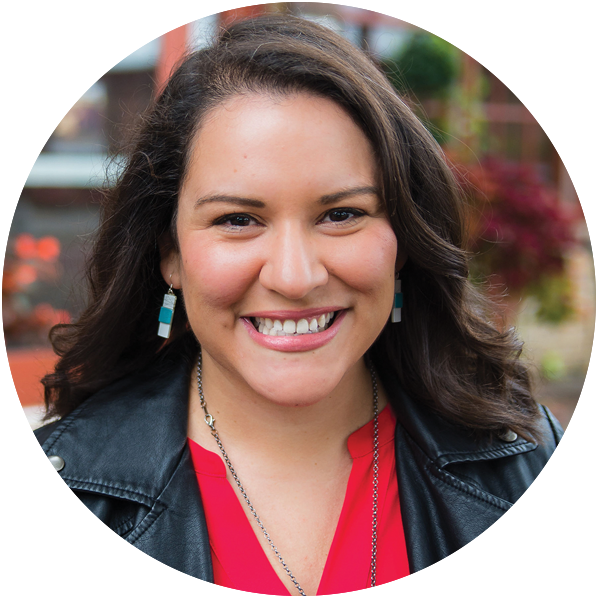 Alicia Vela is pastor of youth and young adults at Roseville (Minnesota) Covenant Church. She’s a two on the Enneagram, which basically means she loves nothing more than sitting across the table from someone, drinking coffee and telling stories. Powerful testimony here Rev Alicia – of your own story and the ways that race shapes us all/esp women of color. So very thankful for Austin Channing Brown’s courageous voice, and for your authentic leadership out of that space as well. Grateful! Wonderful article, Alicia. While I think I am not a racist, there are times I find myself as that person that is saying, “Come on, get over it. Racism in the Covenant church is a thing of the past.” Lord, help me to be open minded when people of color share their stories.